The Community Edition is Waterloo Region’s independent monthly. We’re focused on exchanging ideas on building community and culture in Waterloo region. 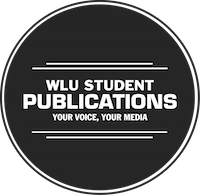 Based just outside of Wilfrid Laurier’s campus, we strive to meet the standards of journalism met by our sister publications, The Cord and Blueprint. Envisioned as the monthly edition of The Cord Weekly, The Cord Community Edition strived to meet the standards of journalism met by our sister publications, The Cord Weekly and Blueprint and focusing on exchanging ideas on building community and culture in the KW region. Steel Rails, a yearly art party on a train, begins to be hosted by The Community Edition. The Cord Community Edition becomes The Community Edition.